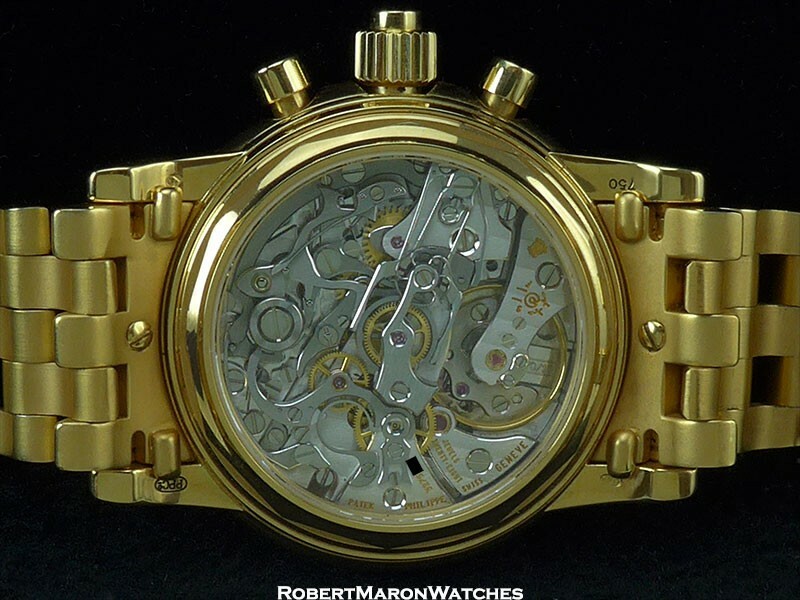 The 5004 was introduced in 1996 and is essentially a 3970 with a split-seconds chronograph. 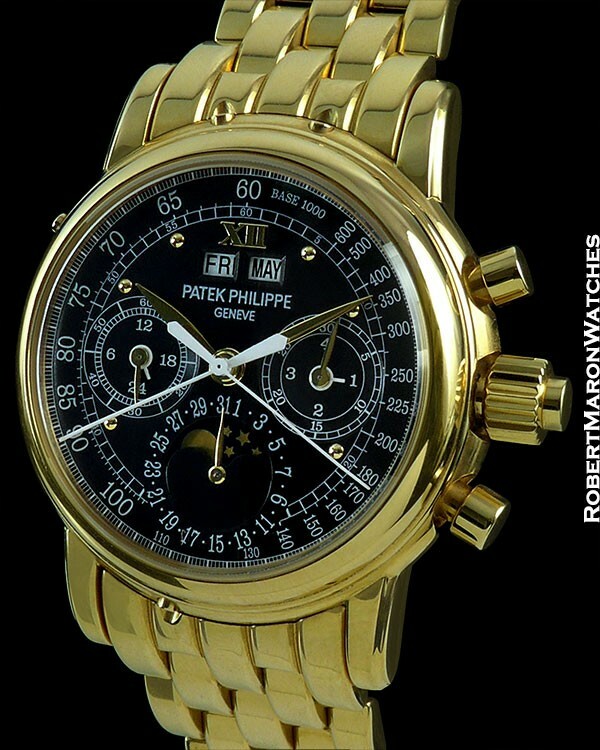 This split-seconds perpetual calendar was so difficult to produce and so costly, Patek only made about 12 per year. 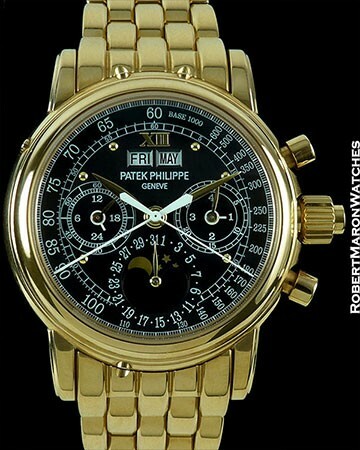 Patek even stopped production at one point while working on a separate split-seconds caliber. 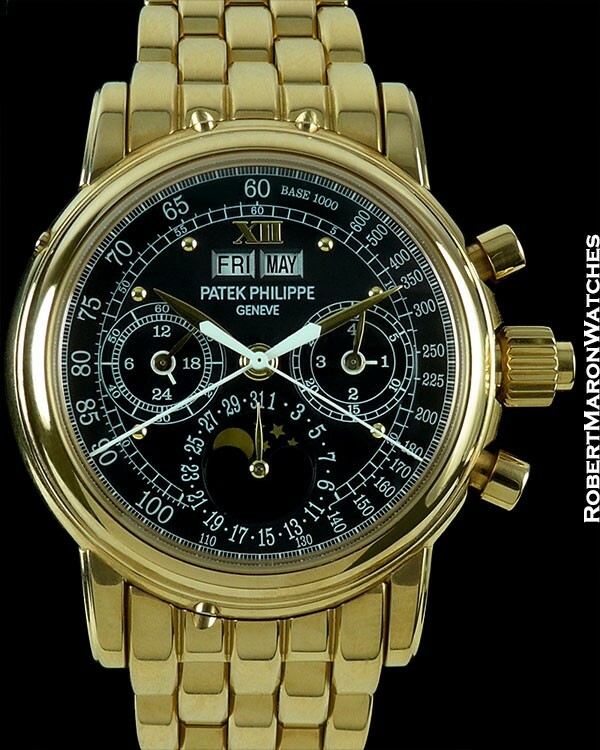 After just 15 short years, the Ref 5004 was retired by Patek. This unique timepiece is simply exceptional. Special order black dial with applied roman numeral "XII" and tachometer scale.